Clear your calendar! 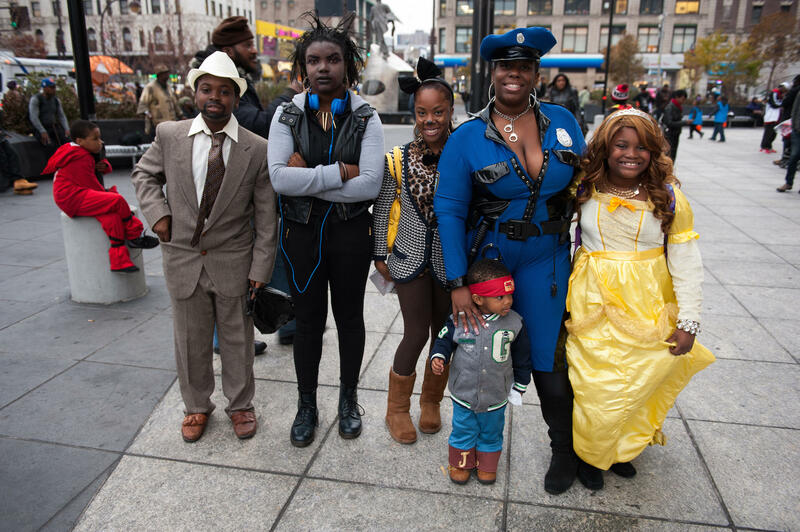 This year's HarlemWeen takes place on a Monday! That's right, Monday, October 31st, will witness the largest HarlemWeen in the event's six year history; and you're invited to take part in the festivities. Come on out and bring a friend. This is going to be epic! Kids -- and the young at heart -- should come out early for face painting, a puppet show, and storytelling. First we'll start out with the kids, then we'll move to the teens, and finally will finish with the adults! Get your costumes ready today. What? You don't know the steps to Michael Jackson's "Thriller"? Then come on out for an hour of instruction provided by the Michael Jackson Tribute Artist Moses Harper. There is only one place to be at 6:00 pm on Halloween night -- the plaza of the Adam Clayton Powell, Jr. (Harlem) State Office Building. That's where the Great Harlem Thriller Flash Mob Street Dance will go down. After the "Thriller" flash mob, we'll play the legendary "Thriller" video before sequeing to Jarren Martin's Michael Jackson Tribute Show. At 6:45, it'll be on and poppin' when DJ Freestyle Closeout takes over the wheels of steel to guide us through the evening. We'll party until it gets too cold to do so! As if the dancing were not enough, we'll play "It's the Great Pumpkin, Charlie Brown" -- silently (with sub-titles) while the DJ dance party continues. What? I love this annual costumed dance party!